As many of you who've known me for a while know, I've been doing on/off research into the area's Cold War legacy, and particularly the ring of Nike sites that surrounded Milwaukee in the 1950s and 1960s. In a nutshell, the Nike system was deployed by the U.S. Army for point defence of major metropolitan areas and strategic sites against the threat of Soviet bombers such as the Tupolev Tu-95 (NATO codename "Bear") by using radar-guided missiles to knock down any bombers that slip through, literally as a "Last Line of Defence." Milwaukee was deemed critical because of its factories (such as Allis-Chalmers, Allen-Bradley, Cutler-Hammer, Harnischfeger, and A.O. Smith) and the fact that it sat along the northern approaches to Chicago. From the 1930s all the way through the late 1970s, Milwaukee was known as the "machine shop of the world," a fact not lost on the Soviet Union. The capabilities of Milwaukee area factories to quickly re-tool for defense production, and its ability to ship heavy machinery out via its port or on rail lines connected to the rail hubs at Chicago underscored its perceived vitality to American defense. Therefore, the area received eight Nike sites that became operational between 1956 and 1957. In the process of developing each site, the Army bought tracts of land that had strategic value and erected the necessary structures under the auspices of the Corps of Engineers. Generally, each site consisted of two parcels, usually separated by anywhere from a third of a mile to about two miles. One parcel typically had the administration (such as barracks, mess halls, a small PX and barber shop, the battery motor pool, and recreational areas) and radar facilities--this was often referred to as an integrated fire control (IFC) site. The other held the missiles themselves in underground magazines or "pits" as well as supplies needed to maintain and launch each missile, such as fuel, assembly tools and space, and the warheads. Two digits representing the relative direction of the site from Milwaukee City Hall with 00 at the north, 25 at east, 50 at south, and 75 at west. An example designation would have looked like this: M-02C, and would have signified that particular parcel as being the control (radar/barracks) site in the north of the Milwaukee defense. When the sites opened, they were armed with the Nike Ajax, which carried three small high-explosive warheads and had a range of about 30 miles. Eight sites in a ring were thus deemed sufficient to provide the Milwaukee metro area with complete protection from all possible approaches. Three of these sites (at River Hills, Milwaukee's Lakefront, and Waukesha) were upgraded to a more powerful, longer-ranging, and nuclear-capable Nike Hercules missile in 1959; the remaining five sites not upgraded were closed between 1961 and 1963. To this day, the government's official policy is that it will neither confirm nor deny as to whether a specific Nike Hercules site did in fact carry missiles armed with the W-31 warhead or if a site's armament was limited to a conventional high-explosive payload. Indeed, there are still certain aspects of Nike deployments in the continental U.S. that remain classified to this day. 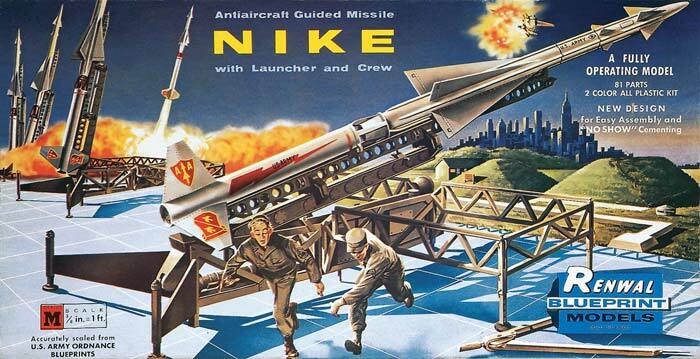 Historical evidence that has been made available through veterans' websites, declassified documents in the federal archives, historians' papers, and even the National Security Archive at the George Washington University show that every Nike site that was upgraded to the Nike Hercules had missiles armed with nuclear warheads. Further, contemporary news accounts typically suggested that most or all such sites either carried nuclear arms or could obtain them if the need arose*. By 1970, it became apparent that the primary Soviet threat came in the form of long-range missiles (e.g. ICBMs) instead of bombers flying over the North Pole. The remaining Milwaukee sites were closed by 30 June 1971, and the remaining sites in the continental U.S. followed soon thereafter as the Nike Hercules was considered an anti-ballistic missile under the terms of the SALT I treaty. Meanwhile, portability issues and further advances in technology lent themselves toward the development of SAM-D, which later became the Patriot system still in use today. After the Nike sites closed and their sensitive equipment removed, their disposal often varied. If the lands they were built on were on federal lands, or a federal agency stepped forward, the sites were often transferred over to that agency. If the Feds passed, many of the sites (such as M-74 in Waukesha) were offered to state, county, and/or municipal governments free of charge on the condition that they be perpetually used for the public good. Often, this meant that the sites became parks or other publicly-open lands. If not, then the lands could be bought by individuals, school districts, and local governments at public surplus auctions and then used however the owners saw fit. Only one Nike site in the nation was turned over intact for preservation at closure (site SF-88 just north of San Francisco), and a few others have been preserved and/or are undergoing restoration. Most of the rest have been destroyed or are slowly decaying as time passes, and as these sites decay, so do the obvious reminders of a critical point in our (currently) recent history. Indeed in 2013 it's still somewhat difficult to imagine the military throwing up missiles in our backyards; we tend to think they do it "out west" where few people live. So, for a quick little reference, I've created some rough sketches in Google maps showing where some of the major features for each site were, which is helpful as most of the sites have been either radically modified or destroyed. These "drawings" aren't meant to be authoritative or mark exactly where the structures were, but rather to give the casual viewer a rough idea of what stood where in relation to how the sites would look today. The maps work best when the 45 degree view is turned off (hover over the "Map" icon in the upper right and in the menu that appears, ensure that 45 degree is unticked), but the shapes still kind of shift a slight bit thanks to how Google maps operates. Launch Map, mostly obliterated, the area is now a City of Franklin industrial park just south of Ryan Road, and the city's Sewer & Water Office sits on the southernmost magazine area. The remainder was bought by Milwaukee County in 1963 for $17,500 and was considered as an option for setting up a continuity-of-government bunker (but fell through). Launch Area was adjacent to the former Milwaukee County House of Correction, which was later used by the Army as a branch of the U.S. Disciplinary Barracks; this was turned over to the City of Milwaukee and the Interior Department--both sold it to the State of Wisconsin by 1980 to become Havenwoods State Forest. 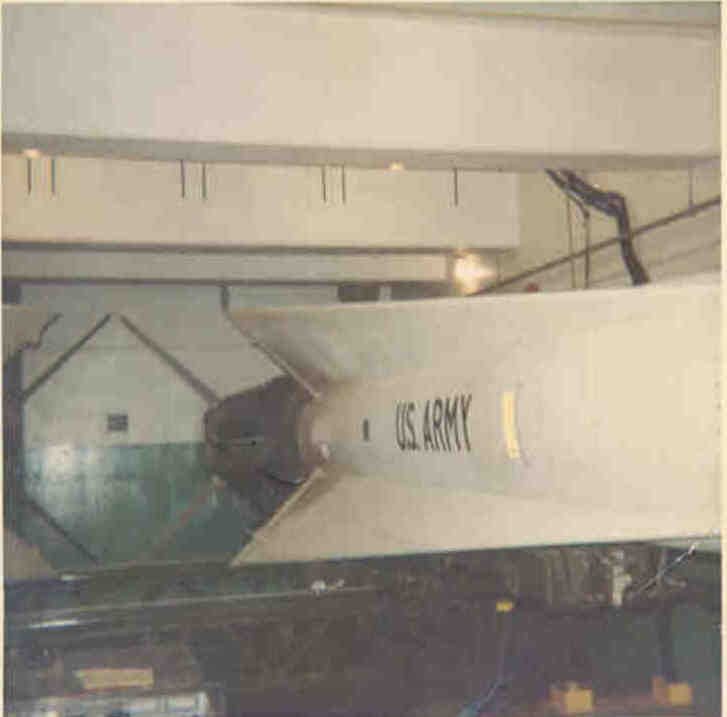 *However, I've also read various accounts by Nike veterans (and even the docents/guides at the Fort Barry museum) suggesting that there were still ways to determine whether or not a missile was nuclear or not; this often involved a coloured stripe just above the "U.S. ARMY" lettering on the upper half of the missile. No stripes generally indicated a conventional warhead; green, yellow, or red stripes indicated a nuclear payload with the colour indicating the yield in kilotons (green 2, yellow 20, and red 40). In addition, the nuclear-tipped Hercules missiles needed a barometric probe as part of the safety mechanism; these usually had a red cover (often called a "doghouse") that fit over the missile's nose. End note -- Did the Milwaukee sites really have nuclear missiles? As for whether or not the three (later, two) Nike sites in operation in the 1960s carried nuclear missiles, the answer appears to be that they did. Each site could carry up to 18 Nike Hercules missiles, but to this day, the Pentagon will not disclose how many at each site were armed with each yield. M-02 (River Hills): There are pictures on the Internet that indicate that this site carried nuclear payloads; two of them show Hercules missiles in the magazine bearing yellow markings for 20kt. M-20 (Milwaukee/Lakefront): While I have not seen photographic or specific site documents as of this writing, I have read reports from the National Security Archive during the Cuban Missile Crisis, as well as a historical dissertation published on the Nike system, and they all appear to indicate that virtually all of the sites armed with the Nike Hercules had missiles containing nuclear warheads. Further, the optional "high-explosive" warheads were in the vast minority when it came to deployment, but were still available at the depot level. M-74 (Waukesha): In addition to the note regarding M-20, the Milwaukee Sentinel ran an article on 19 June 1958 noting that the site was to receive facilities for guard dog kennels because the site was slated to receive atomic warheads. Also, Ed Thelen's excellent website shows links for people who served at the Waukesha site and were part of the warhead custodial team after 1964, meaning that M-74 also carried nuclear payloads. This is significant because of the fact that a warhead custodial team consisted of Regular Army personnel whose purpose were to supervise and hold custody over the nuclear warheads--at the time, National Guard technicians were considered employes of the States. Or, to put simply: when the site was turned over to the Wisconsin National Guard, any nuclear munitions had to still unambiguously remain in federal control. Given the declassified NSArchive reports, it would not be unreasonable to figure that most (if not all) of the missiles at River Hills, the Lakefront, and Waukesha carried nuclear arms. Finally, it's worth noting that each of these sites are safe to visit because there has been no evidence of radiological contamination or leaks; all of the environmental problems have to do with petroleum and other chemicals instead. This image was taken during the Tightrope test on 4 November 1962 at Johnston Island. Tightrope was used to test the atomic power of the Nike Hercules carrying a W-31 warhead. The missile was set up like it would be at a "regular" Nike site, and fired as if it were needed in air defence. If the Nike missiles defending Milwaukee had to be fired against incoming Soviet bombers, this would have been seen over the skies of Wisconsin, although at a presumably-high altitude.